- a HL7 parser for the ER7 format (EDI based) with the HAPI library. At my current client HL7 is a quite common data format for data interchange in the health care industry. And as the Capital Region of Denmark we of course also use HL7 for integrations. However not many of the Integration Platforms out there has some kind of HL7 support. As the HAPI framework is quite well used we don't have any doubts not using it, and as the HL7 MLLP is just a "plugin" to Apache Mina we should be well covered with the network stuff. 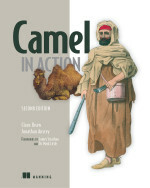 The camel-hl7 component will be included as of Camel 1.5 that currently is in progress. I have since received a few mails from people in same situation where they had to roll out the own solution. They are looking with interest that we have this feature out-of-the-box with Apache Camel. Does camelHL7 component support HL7V3?